This setting provides space for entering information about the item. The information is not displayed anywhere else. PLEASE NOTE: If you are editing grades that necessitate a decimal point, you must use a period to indicate the decimal (as opposed to a comma). Using a comma will cause the value to round down. 2. 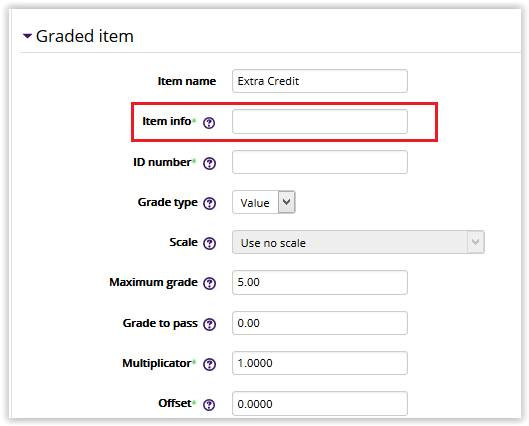 Under the Administration block on the left side of the screen, click Gradebook setup. 3. 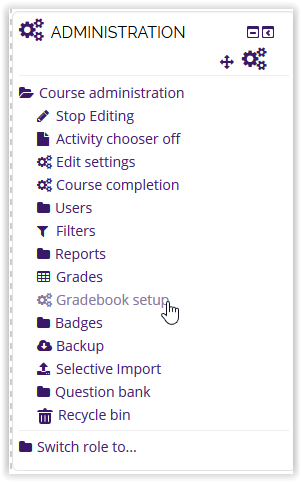 The Gradebook should appear. Click the drop down arrow next to Edit, and select Edit Settings from the drop down presented. 4. 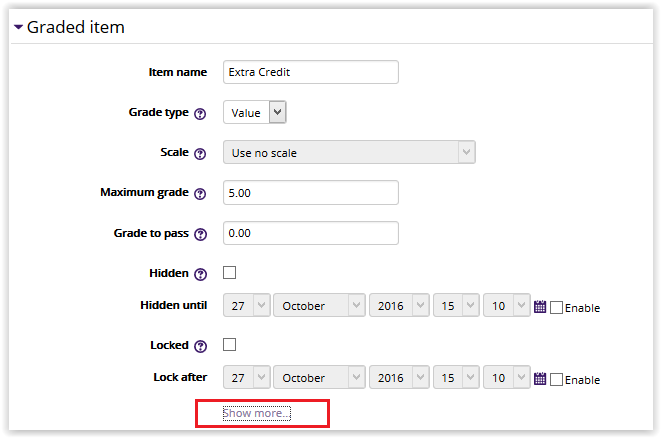 Click Show More at the bottom of the Graded Item drop down. 5. Enter information into the Item Info fieldbox. 6. Click Save Changes at the bottom of the screen.